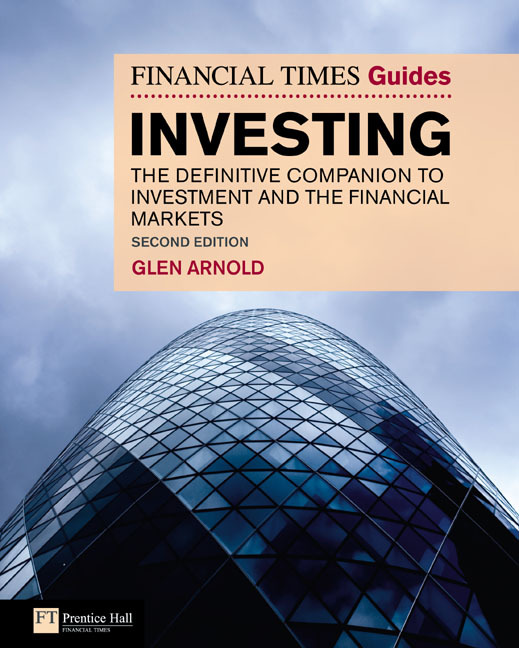 The Financial Times Guide to Investingis the definitive introduction to the art of successful stock market investing. Beginning with the very basics of why companies need investors and explaining what investors do, Glen Arnold takes you through the practicalities of buying and selling shares. He describes different types of investment vehicles and advises you how you can be successful at picking companies, understanding their accounts, managing a sophisticated portfolio, measuring performance and risk and setting up an investment club. Investing can be profitable and fun and The Financial Times Guide to Investing 2nd edition, explains step-by-step both the essentials of investing as well as describing how the financial markets really work. It details the practicalities of investing, such as how to go about buying shares and describes the variety of financial securities you can buy, from bonds and unit trusts through to exchange traded funds. Exploding the myths that only the wealthy can afford to buy and sell shares and showing you why you can be just as successful trading on your own as you would be by employing a fund manager, this authoritative guide book will help you build a profitable personal financial portfolio. Chapter 1 What is investment? Chapter 16 Companies issuing shares. Glen Arnold is a businessman, investor and a professor of finance at Salford University. Hes the author of numerous finance and investing books including Corporate Financial Management, The Handbook of Corporate Finance and The Financial Times Guide to Value Investing, all published by Financial Times-Prentice Hall.